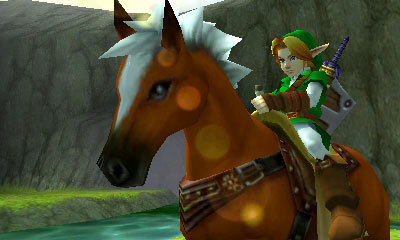 At first it was fun to talk about the improvements that could be made to Ocarina of Time for its 3DS release. But now, after an article of my own, an article from some other guy and plenty of threads about it at our forums, I must say I’m kinda over it. Nevertheless, it’s our job to give you the news of the Zelda community, so on I go. Some of you will be interested. ‘Streamlining Ocarina of Time for the Nintendo 3DS’ by Joshua Lindquist is another article about potential changes wanting to be seen in Ocarina of Time for the 3DS. He makes all of the stock standard points but also has some good ideas on how to deal with Navi, how to reinvent the Stone of Agony and how some sort of pointer for things like the bow and arrow could be implemented. It seems that the ideas just keep on flowing, so it will be interesting to see, when the game does actually arrive, what changes Nintendo has made.